Today was the final day of the three-day conference International Congress on Sustainable Cities and Transport (“XI Congreso”) in Mexico City. The event brought together urban planners and transport experts from across the globe to help cities work toward a sustainable future. While covering a diversity of topics, today’s events focused on road safety, sustainable city leadership and shared mobility. 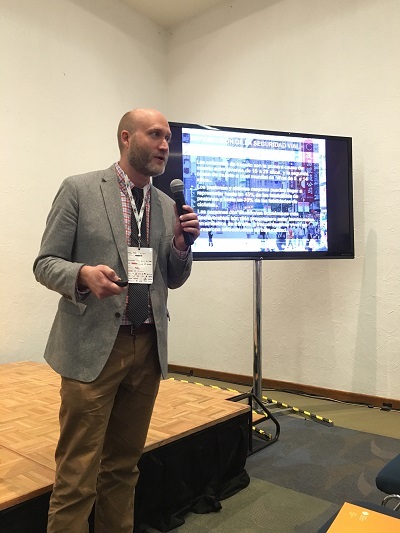 Ben Welle, Senior Associate Transport Planner at WRI Ross Center for Sustainable Cities, presented Cities Safer by Design, a practical guide to help cities save lives through better urban street design. With nearly 1.3 million people dying every year in car crashes, and the majority of deaths taking place in developing countries, road safety must be a top priority for transport experts. “We have had the status quo for many, many years of designing cities for cars, not people,” Welle said. Welle touched on six principles for designing a safer city: (1) avoid urban sprawl; (2) slow down road traffic; (3) make main roads safe for all; (4) create space for pedestrians (5) provide a safe network for cyclists; (6) ensure safe access to high-quality transport. 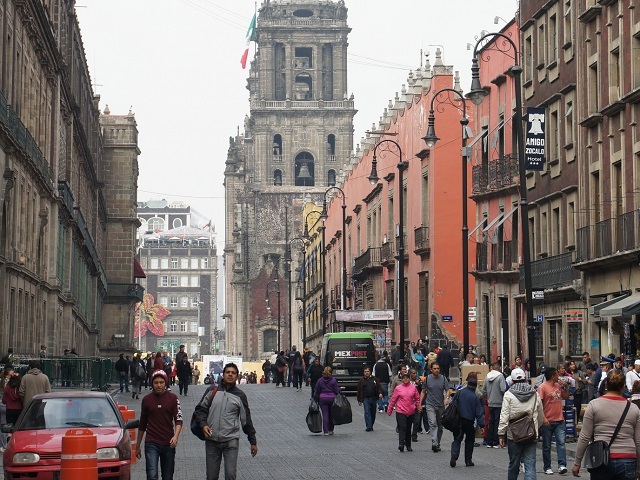 The research is especially applicable to Mexico City, where an average of two people per day are killed in traffic crashes. Many streets in the city are designed solely for cars, with pedestrians and cyclists being put at great risk of injury or death. Making roads safer also means thinking differently about traffic deaths. “We call them traffic accidents, but they’re not ‘accidents’ at all because they’re completely preventable,” Welle said. And while focusing on changing the behavior of drivers can be helpful, the largest difference cities can make on road safety is by architecting better, safer streets centered on the most vulnerable citizens. 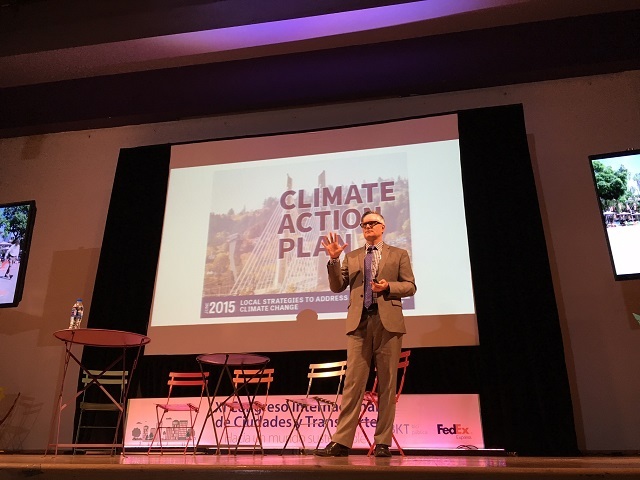 Sam Adams, former mayor of Portland, gave a presentation on the Climate Action Plan of Portland. He shared his experience leading a city of more than 600,000 people who have a dedicated commitment to sustainability. Indeed, Portland has the highest rate of recycling in the United States, with 63 percent of waste being recycled–an initiative that Adams played a large role in. Adams’ presentation also made clear how cities can partner with the private sector to achieve sustainability. When asked what the key was to Portland’s culture of sustainability, Adams replied: “A combination of public policy and private partnership.” Not only can corporations hold themselves responsible for their environmental impacts, they can also incentivize employees to take sustainable transport. Car culture has long pushed for travel tailored around the individual, without taking into account limited road space and the harmful emissions related to car use. In response to this trend, a panel at the Congress spoke on shared mobility, discussing the positive impacts that a thriving sharing culture can have on cities. Experts covered different types of shared mobility programs, including cars, bicycles, rickshaws and electric scooters, each offering communities across the world more mobility options for less costs and commitments. Shared mobility not only decreases car-use and encourages sustainable transport, but can be an affordable option of travel for working class individuals. The three-day conference was filled with the sharing of best practices and the formation of new partnerships. Covering a variety of topics from public transport to urban development, sessions were open to the public online, engaging and, most importantly, provided audience members with the tools necessary for tackling issues of sustainability facing cities across the world. For more on the conference, go online at #CiudadesyTransporte, @Congreso_CTS, @EMBARQMx,@WRIcities, TheCityFixMexico and watch the keynote sessions online from Mexico City’s World Trade Center.